Jude Benhalim has exemplified in the past couple of months how consistency and dedication, can turn any underdog into a leading contender of their craft. 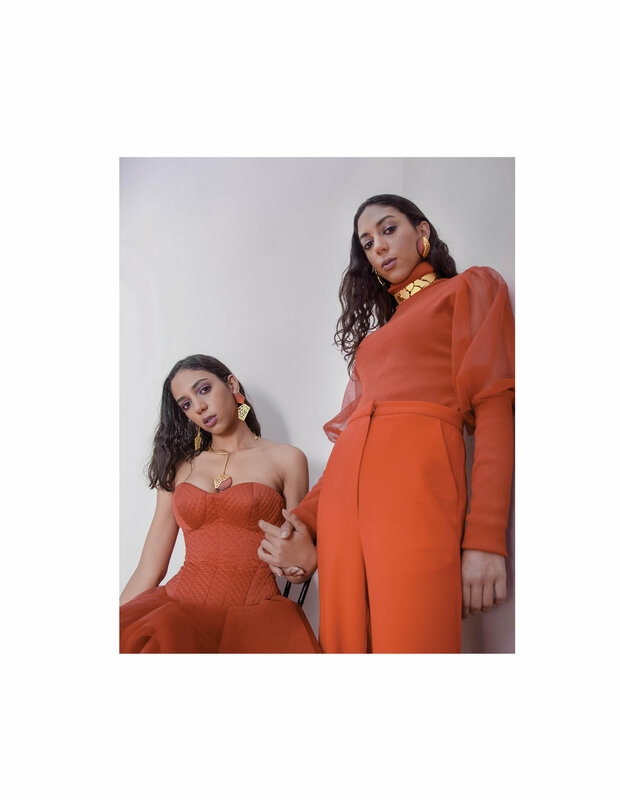 Jude Benhalim's release of "Digital Citizen" caused a social media takeover, with over 150 females posting a digitized image of themselves wearing the technologically inspired collection. "Digital Citizen" - showcased above - is the high end jewelry designer's latest release, a collection that pays homage to our technologically infused lives with wires, barcodes, nuts and bolts sleekly incorporated into the 925 sterling silver and gold plated brass pieces. To further elevate the impact that "Digital Citizen" had, Jude Benhalim worked with Cairo based photographer Malak El Sawi on a shoot entitled "An Ode to Womanhood: Not All Is Lost", which in our opinion, speaks volumes on the idea of diversity and acceptance of the female form. In celebration of women, the color red was chosen to be incorporated into the "Digital Citizen" pieces for this Women's Day capsule collection as a symbol of strength, solidarity, boldness and power. Note: 15% of profits from these pieces will be donated to Banati Foundation. Finally, for Mother's Day the brand decided to relaunch their renowned BULLET collection, this collection put Jude Benhalim on the map as a jewelry designer capable of creating innovative design and statement pieces that stand the test of time. Photographed above. Overall, Jude Benhalim has been working avidly over the past few months to remain on top of the competitive jewelry market. Trailblazing design concepts, daring editoirals, and supporting important charitable causes, proves that this is a socially conscious brand that gives back to its community as it continues to grow and thrive.